Instead of the default ring, you can choose a different ring for your phone number. This change only affects your phone. Step 1: Press the Settings button. 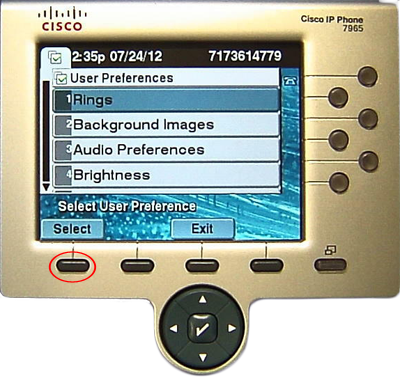 Step 2:Press the Select softkey to open user preferences. 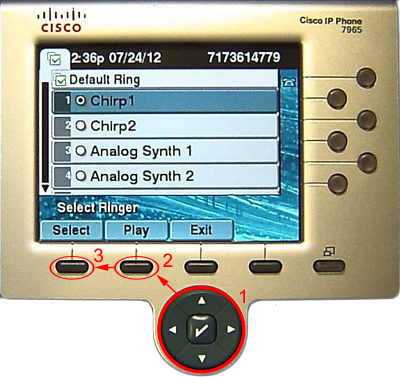 Step 3:Press the Select softkey to change rings. 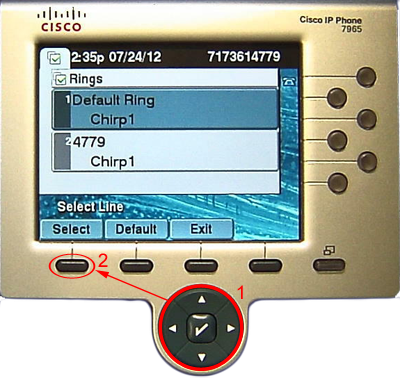 Step 4:Using the navigation pad, highlight the line for which you would like to change the ring. 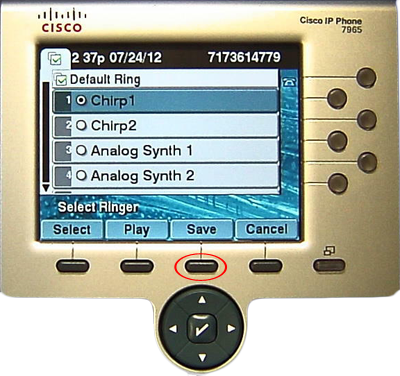 Press the Select softkey immediately to change the default ring. 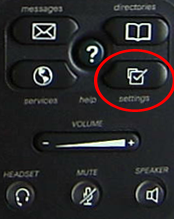 Step 5:Using the navigation pad, highlight a ring tone. Press the Play softkey to preview. Press the Select softkey to select the tone. 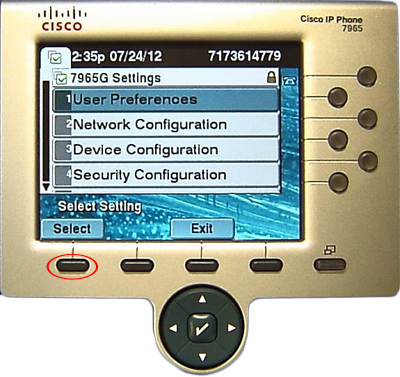 Step 6:Press the Save softkey to confirm your selection.